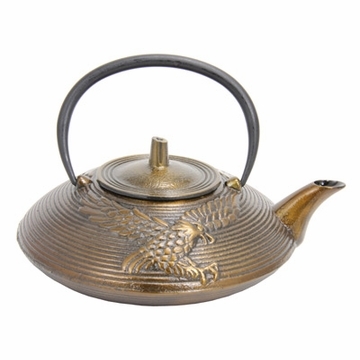 This teapot is made from sturdy iron and has enamel coating on the interior to prevent rusting. 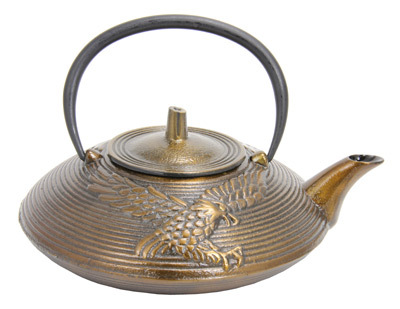 The teapot has an eagle design on the body. Eagle symbolizes honor, courage, and bravery. Cast ironware heats evenly and retains heat well and is praised worldwide for their beauty, strength, and superb quality. In addition to brewing tea, you can also use this teapot directly on stovetop to heat water. Beautiful teapot, perfect size and works wonderfully!!! Beautiful teapot I bought for my brother who's very happy with it.